In Chicago, as is usual for this time of year, winter’s clutch is still a tight fist. Yet, the blue of the sky is creeping into the jewel tones. This very morning I caught with deep satisfaction my first glimpse of a flock of wild geese arrowing unerringly and urgently northward toward their home, the location of which was known clearly only to them. I reflected for a moment about their uncanny sense of timing and navigational sense—easily reducible, I suppose, to seasonal, physiological, and ethological explanations. Still, I thought about a story I read recently about a little dog that managed to find her way across several city blocks to the hospital room of her owner. This is not the first account of its kind that I have heard in the course of my life. Such stories are invariably related and received with astonishment, wonder, and curiosity, as an element of mystery lingers around the edges of glib explanations. After all, even the most jaded among us realize deep down that something truly marvelous and extraordinary has happened in connection with such events. Later in the day, I gazed out my office window overlooking the Chicago River, watching city workers raise the Franklin Street Bridge to fix some mysterious problem that had them shaking their heads in perplexity. I also observed confounded pedestrians gazing at their watches and smartphones, contemplating this glitch in their travel plans that necessitated a possible detour to the Wells Street Bridge to cross the river to make their way to their destinations. Some clearly decided to simply wait for the unforeseeable moment that the Franklin Bridge would be reopened. Others buttoned their coats tighter against the minus 4 degree wind chill, gritted their teeth, and resolutely started to jog to the other bridge. I spared a smile for the resolute Midwestern stoicism of the Chicagoans in both choice situations, braving the elements to do whatever is necessary to get where they are going. We are extraordinary animals too. To be clear, I am not speaking here of the concept of “soulmates” or the notion of predestined romantic connections. I refer instead to the embodied sense of each other that is built of time spent together, conversations that linger long into the night, fights fervently fought, and much more. Moreover, I make no idle boast. In 2003, she came within a hairsbreadth of dying from a rare blood condition called Thrombotic Thrombocytopenic Purpura (TTP). She wandered in the Otherworlds for a couple days, comatose, as I felt the thread of our connection stretched thinner than I could ever have imagined. She chose to come back, though, on the wings of many prayers as well as the hopes and dreams of our community. I myself have become lost in very different ways, wandering far even from myself, as she has waited with superhuman patience and love for me to find my way back. In any given moment, she and I frequently find ourselves voicing the same thoughts, both of us having apparently followed the same “random” chain of private associations, like schools of fish darting in the same direction simultaneously, or like those geese flying in unison silently alighting in the same resting place. When I come home from an errand or work, I know the moment I enter the house whether she is home, and I usually guess pretty accurately where in the house she is. 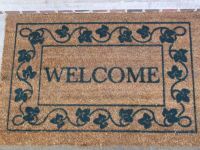 All of us have in our bodies a capacity to feel a slight, somatically based sense of opening, or even a pull, tug, or shift toward where we will know we will be welcome or toward what will feed our spirit. In a previous essay I spoke of the work of Eugene Gendlin and colleagues. They have taught for many years now an approach called “focusing” that helps us attune to this “bodily felt sense,” intuitively understanding the sense of something just out of reach of words (Gendlin, 1998). C. Michael Smith more expansively links this capacity to Jungian psychology and shamanism, stating that Jungian individuation can be understood as an intuitive and somatic hunger for the sacred in life (Smith, 2007). Smith conceptualizes this pull as a heart navigational sense or NGS, stating that it is the best means by which we can recover from being lost or find others and life circumstances that authentically reflect who we are. Intimate, authentic relationships are anything but easy, of course. They typically entail at least as much capacity for suffering as bliss! Those struggles offer opportunities for greater closeness and understanding. Perhaps, as I have alluded in prior essays, the very best ones are those that create in the midst of struggle (or perhaps out that very struggle) a deep, intuitive sense of home for each other. Our deep, embodied yearning can help us find them and grow within them. Moreover, there are moments in an intimate romantic relationship, a deep friendship, a healing therapy relationship, or an inspired learning relationship between professor and students, when the serendipitous, simultaneous, and identical flutter of the navigational sense toward home makes itself known within each of us. When such moments happen frequently, they indicate the presence of uniquely transformative potential and collectively characterize the relationship as sacred. This capacity can also be enhanced through awareness and practice of it. And why not? As Alan Watts stated in his autobiography, we are the natural, organic result of the universe, inseparable from it, growing out of it like apples from a tree, artificially and illusorily severed and separated only by the impositions of words and concepts (Watts, 2007). Even though the universe needs each of us to be completely, utterly, and uniquely ourselves in order to be complete in and of itself, why would we not feel a thrill of recognition—and be utterly at home with—phenomena in that unity that mirror or complement our own? Gendlin, E. (1998). Focusing-oriented psychotherapy: A manual of the experimental method. New York, NY: Guilford. Smith, C. M. (2007). Jung and shamanism in dialogue. Bloomington, IN: Trafford Publishing. Watts, A. (2007). In my own way. 2nd edition. San Francisco, CA: New World Library.